Morne Steyn and Vlok “skop” Cilliers offers you the unique opportunity to have the perfect gift this year! With this exclusive limited offer you can have a personally addressed rugby ball, signed by both rugby legends Morne Steyn and he’s kicking coach Vlok “Skop” Cilliers on a rugby ball. 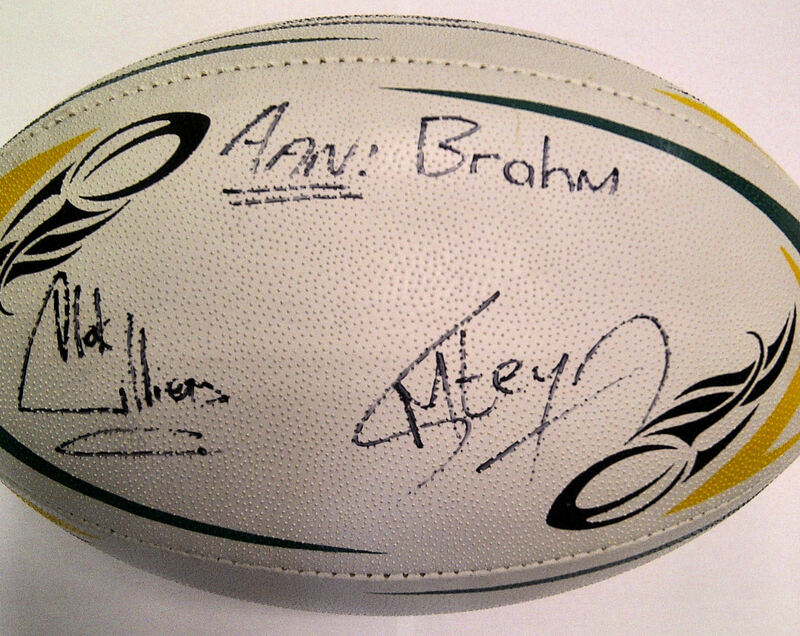 The rugby ball will sell at R180 a piece and will only be available until 12 December 2011. Step 1: Please complete the electronic form. *NB: use your INITIALS & SURNAME as reference on your deposit slip or proof of payment. Please note: That no merchandise will be sent without full payment, proof of payment or a valid Post Office Box Address.